It was the morning of February 5, 1983. The time was close to around 8:55 a.m. We were airing the final national segment of the morning news magazine from NPR. At 8:59 I would take to the air and chat with classical music host Obie Yadgar to promote his upcoming program. We were instructed by WUWM General Manager Dave Edwards to talk about what Obie was going to play that day and how he would open his program. The first day we were supposed to perform this live on-air segue I spoke with Obie off the air. I inquired as to his play list for that day’s broadcast and mentioned our directive from the boss. That’s not the way Oboe programmed his show. Sure, he could tell me what classical composition he would lead off with. From then on it was all spontaneous. Obie would choose based on what he felt. So what do we talk about for two minutes before I rejoin the NPR network for the 9:01 news? We decided to wing it. We would talk about whatever we wanted to. It was unplanned, unscripted. Sometimes we discussed the previous NPR segment, the final one of the hour that often was arts oriented. Or we’d talk about music/movies/etc. in the news. One morning Obie said I smelled like a “french floozy” because of my after shave, inspired by a new flame in my life. So we kept doing it. And that’s a future blog. God we had fun. Two friends sharing good, honest, clean fun conversation in a matter of minutes. The guy was a classical music host. That’s why I couldn’t refrain from laughing. The time was close to around 8:55 a.m. There was no cable TV. Internet. Social media. I wandered over to our AP wire machine, a toilet roll paper, only longer, on a teletype. I glanced down to see a bulletin from California. 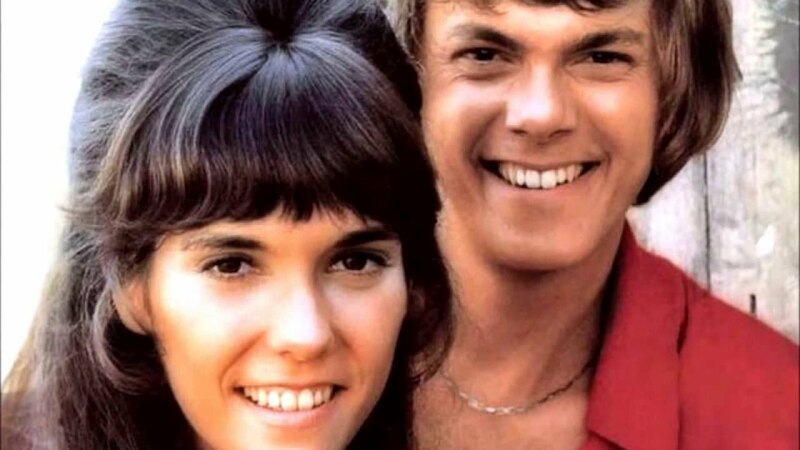 Karen Carpenter, 32, who with her brother, Richard, recorded some of the biggest hits of the 1970s, died the day before after collapsing at her parents’ home. She died at Downey Community Hospital, 25 minutes after being brought in by paramedics. The singer suffered from anorexia nervosa, a disorder caused by compulsive dieting. At the it was not known whether the anorexia contributed to her death, but the 5-foot-4 woman weighed 108 pounds. Moments later Obie walked into the newsroom where the morning drive on-air studio as located and I informed him what just came over the wire and that we’ had to talk about it. On the air I was stunned, saddened. As for Obie, let’s just say he wasn’t a fan. We politely discussed and politely disagreed for maybe the only time during a “shtick.” I thought it made for pretty good radio. So this past Monday marked the 36th anniversary of the death of Karen Carpenter. The Lord decided to take a voice of the angels. So many forgotten, I hope not, oldies. Richard Carpenter has made a new album of Carpenters classics at London’s prestigious Abbey Road Studios. He teamed up with The Royal Philharmonic Orchestra for a new album, that was released back in December. The album features his late sister Karen Carpenter’s iconic vocals placed on top of brand new orchestral arrangements. Enjoy a track from the album.